The City Council vote follows the state’s recent adoption of a new energy code, the second update to the city and state codes in less than two years. When the code goes into effect on October 3rd, New York will become just the sixth state in the country meeting the most up-to-date federally certified commercial and residential energy requirements. 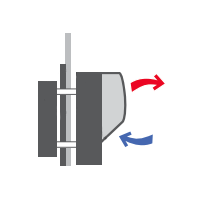 The last few updates to the national model codes have seen dramatic improvements. The NYCECC residential code update represents two code cycles, from 2009 to 2015, plus a number of NYC-specific amendments, which explains that big 32% jump. Major code improvements and a short timeframe from adoption to enforcement means challenges for building industry professionals. With October 3rd right around the corner, architects, engineers and other professionals should be looking to courses like Urban Green’s Conquer the Code and the new GPRO Homes to get up to speed on the latest requirements and acquire the knowledge they need to design higher-performing, code-compliant buildings. What are the key changes in the new NYCECC? The biggest take-away from the new NYCECC may be the dramatic improvements in building envelope design in the low-rise residential sector. The state code requires increased insulation and verified airtightness, while the NYC-specific requirements will improve insulation even more. The end result? 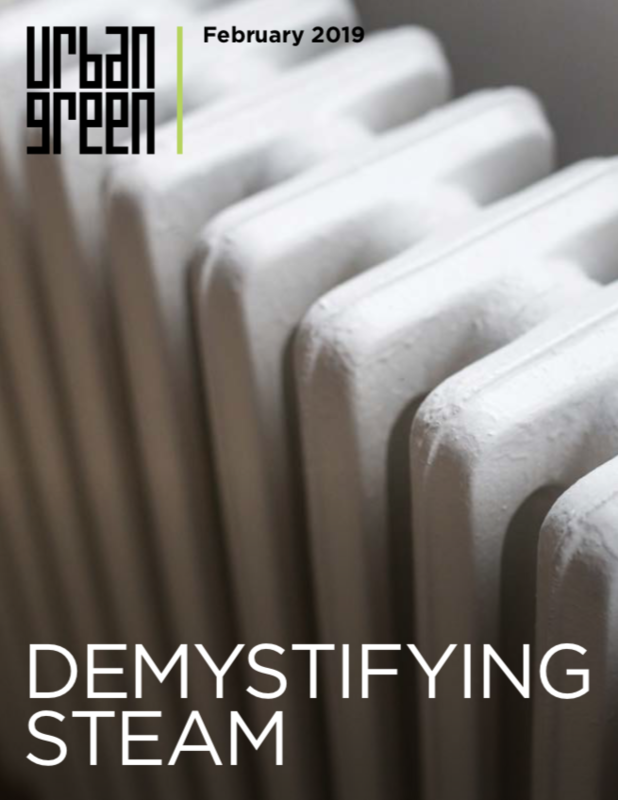 A doubling of the insulation on exterior walls, from R-13 to R-25, plus a requirement that at least some of the wall insulation be continuous — meaning that thermal bridging, which is responsible for both heat loss and mildew, will be dramatically reduced. The new NYCECC is ushering in a new generation of well-designed and well-built low-rise residential buildings in NYC. How big is the impact of the new NYCECC? We have estimated the impact over the next three-year code cycle for new construction only, since renovation rates are difficult to assess. Over the past 15 years the city has added an average of 32 million square feet of building area annually – about 2.5 times Columbia University’s Morningside campus – with about one quarter of that falling under the residential code.2 At that rate of new construction, over the next three-year code cycle the estimated carbon savings translates to about 70,000 metric tons – equivalent to removing approximately 15,000 vehicles from NYC roads. Today's City Council vote caps off months of dedicated efforts by Gina Bocra and the team at Department of Buildings, who have expertly shepherded the NYCECC from inception to law. 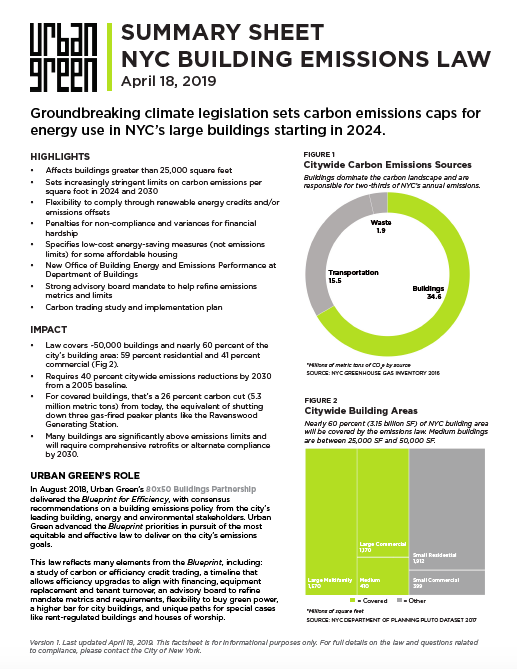 Urban Green, AIANY and other stakeholders worked closely with Department of Buildings to craft a number of the NYC-specific provisions that move beyond the legally required state energy code. True to our mission, we also supported the real estate industry's need for codes that make sense for the bottom line, working alongside Jeremy Shannon and Steven Winter Associates to produce analytics proving the cost-effectiveness of a handful of provisions. The new NYCECC represents just that balance: a code that pushes the envelope on building efficiency but is both affordable and achievable. Read more about the new NYCECC on the City Council's website. 1 The U.S. Department of Energy (DOE) and Pacific Northwest National Laboratory (PNNL) estimate energy savings under each code update. For the commercial code, DOE estimates a national average of 8.5% source energy savings in the shift from ASHRAE 90.1-2010 to 90.1-2013. For the residential code, PNNL analysis shows an estimated savings in Climate Zone 4 of 25.9% source energy from IECC 2009 to 2012 and 0.99% from IECC 2012 to IECC 2015, along with a PNNL estimate (conveyed by NYC Department of Buildings) of 5% savings from NYC-specific insulation requirements – for a total residential savings of about 32%. 2 Calculations based on NYC PLUTO data from 2000-2014. Chris works to advance Urban Green’s policy priorities with government and professional associations. He has experience in energy and water policy with the Natural Resources Defense Council, Environmental Defense Fund, Yale Center for Environmental Law and Policy, and Conservation Law Foundation.